Recently, we have had some pretty warm weather here in beautiful, sunny, Southern California. And that has me thinking of recipes to help beat the heat. One of the first things that came to mind was lemonade, but a raw vegan lemonade, of course. Few things are better than an ice cold lemonade on a hot summer day. I personally didn’t grow up with it, since I grew up in Japan. But I’ve come to love this American classic! The perfect balance of sweet and sour is refreshingly pure bliss. Lemonade is a perfect summer recovery drink too. The citric acid and vitamin C in the lemons helps you to recover from exhaustion. It also increases your appetite when you don’t have any from the heat. People sure knew what they were doing when they came up with lemonade! 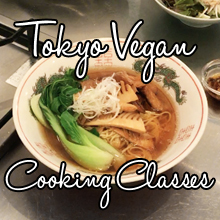 The traditional recipe uses simple syrup, but for this raw food version, we’ll use raw agave nectar. Now, usually maple syrup is my sweetener of choice, but for this I prefer the more neutral tasting agave nectar for it has a more traditional lemonade flavor. If you use maple syrup in this, it ends up tasting more like an Arnold Palmer. Though, that is not a bad thing. By the way, an “Arnold Palmer” is another southern U.S. drink made with iced tea and lemonade. It is named after famous golfer Arnold Palmer who used to request the combination. Very tasty! 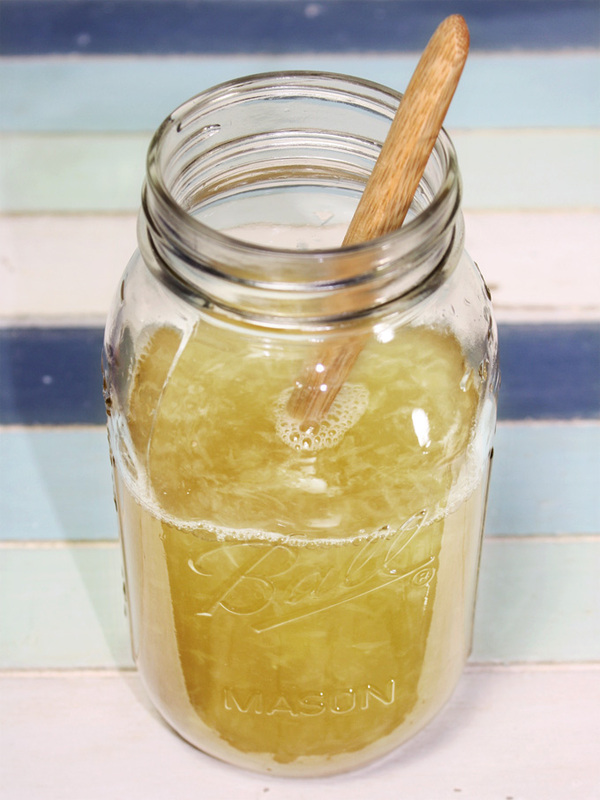 Let’s go over how to make this easy-peasy raw vegan lemonade. First, juice the lemons. If you like pulp in your lemonade like I do, just pick out the seeds. If you don’t like a pulpy lemonade, strain the lemon juice. 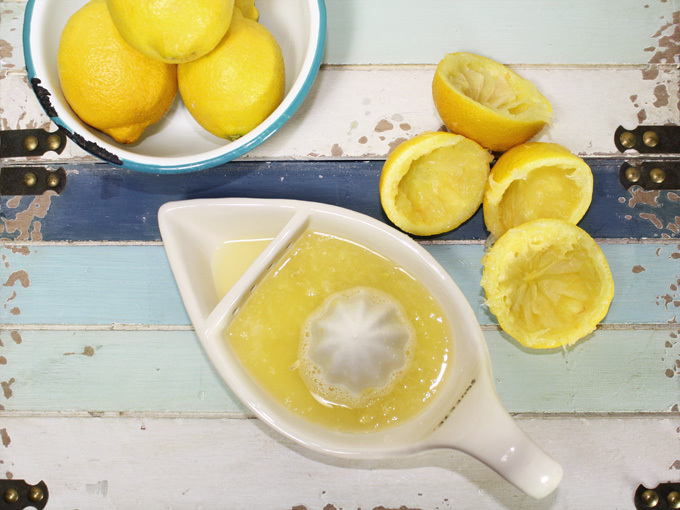 Once you have the lemon juice ready, you’ll need some agave nectar and water. If you want to make it into a sparkling lemonade, use sparkling water in place of regular water. 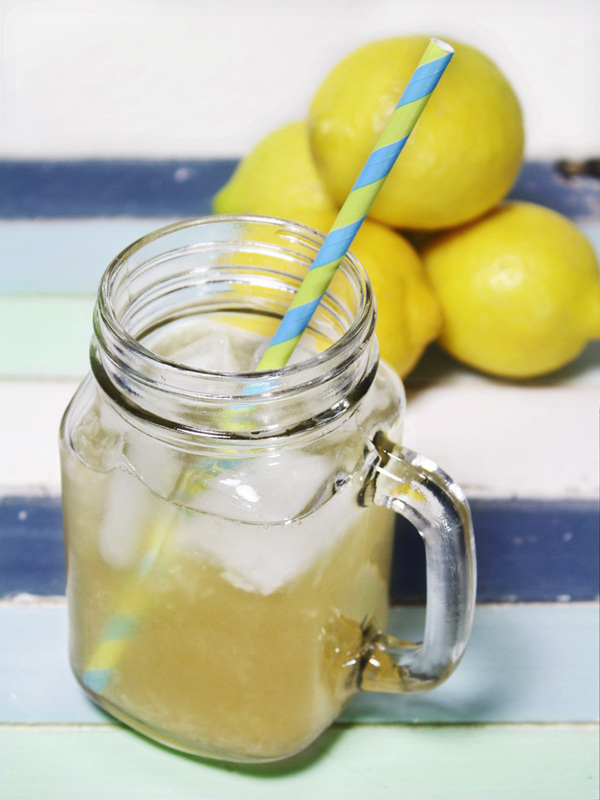 The color of the agave nectar you are using will affect the color of your lemonade. The raw agave nectar I had on hand was a rich amber color, so my lemonade turned out more of a warm amber color. Mix together lemon juice, agave nectar, and water. That’s your lemonade! Fill the glass with a good amount of ice, and pour it up. There’s nothing better than some freshly made, ice cold lemonade on a hot day. Use it to beat the heat! Juice the lemons. If you like pulp in your lemonade, just pick out the seeds. If you don't like a pulpy lemonade, strain the lemon juice. 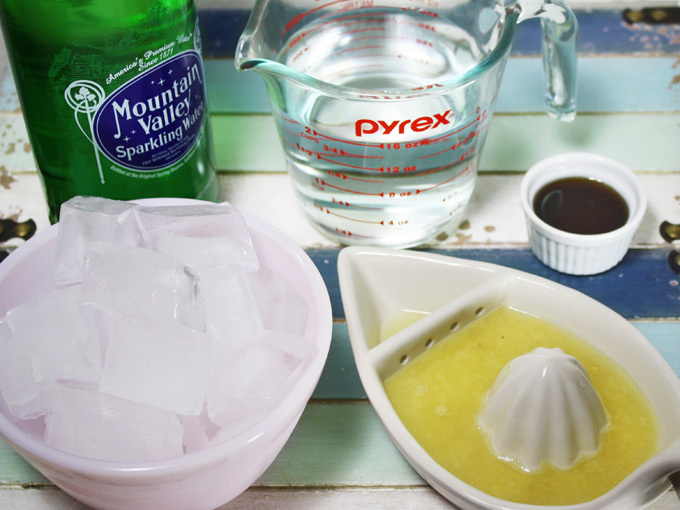 Mix together lemon juice, agave nectar, and water, or sparkling water, if you'd like sparkling lemonade. Fill the glass or cup with a good amount of ice, and pour in the lemonade. 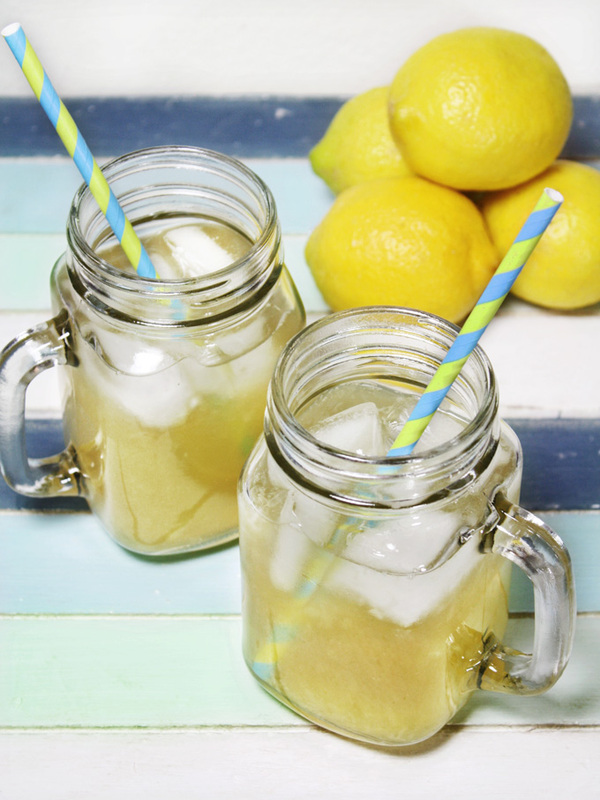 Agave is used in this recipe since its neutral taste makes the most authentic tasting lemonade. However, feel free to substitute it with a sweetener of your choice.